Sam Arnold – 12 clean sheets for the season. A fantastic performance between the sticks by Sam Arnold helped Khalsa bounce back after Saturday’s bitterly disappointing showing in the FA Vase by keeping at bay a very game and buoyant Lichfield City side. Arnold produced a string of excellent saves on his way to a 12th clean sheet of the season to repel City’s forwards while goals by Alex Perry and Mykel Beckley helped overcome the Midland Football League Division One side. 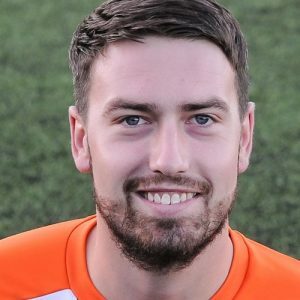 Khalsa struck early, Perry getting his first goal for Khalsa across two spells, 22 starts and 14 substitute appearances. And it was a cracker, a crisp shot from Nicky Turton‘s cross on five minutes to banish some of the demons from Saturday. Turton should have doubled the lead seven minutes later, rampaging through the Lichfield defence but putting the shot wide in a good position. The first of Arnold’s good saves came on 21 minutes, denying James Taylor and four minutes later he stopped Max Black in his tracks with another brilliant intervention. On 38 minutes it was Arnold to the rescue again, saving from Josh Mansell on the break to keep Khalsa’s lead intact into half time. The second half saw things carry on where they had left off. Arnold somehow managed to stop a goal-bound effort from Taylor. Straight up the other end, a Beckley through ball was threaded with unerring accuracy through the Lichfield defence to Dan Westwood who was sent toppling in the box. Beckley stepped up to take the spot kick past Adam Jenkins. Jenkins then made a fine save to deny Liam Armstrong on 51 minutes before, at the other end, Brad Lindsey broke through and was shepherded into space before laying off for Black who blazed over. Black was back in action on 66 minutes, putting wide after breaking through again before Arnold again produced the goods on 78 minutes, saving a low shot from Luke Wright. Khalsa had two late chances, first Sean Williams cut inside and fired a shot over before Armstrong latched onto a Jay Holdcroft through ball and dribbled into a shooting position before lashing wide. Khalsa will now host AFC Wulfrunians in the third round of the JW Hunt Cup. Sporting Khalsa: Sam Arnold, Carlo Franco (captain), Remi Birch, Shawn Boothe, Leon Miles, Mykel Beckley (Adam Osbourne), Liam Armstrong, Nick Turton (Jay Holdcroft), Dan Westwood (Yannick Gomes), Sean Williams. Subs not used: Josh Thomas, Garfield Robinson.